We're happy to announce that our manuscript "Shaping electron wave functions in a carbon nanotube with a parallel magnetic field" has been published as Editor's Suggestion in Physical Review Letters. When a physicist thinks of an electron confined to a one-dimensional object such as a carbon nanotube, the first idea that comes to mind is the „particle in a box“ from elementary quantum mechanics. A particle can behave as a wave, and in this model it is essentially a standing wave, reflected at two infinitely high, perfect barrier walls. The mathematical solutions for the wave function describing it are the well-known half-wavelength resonator solutions, with a fundamental mode where exactly half a wavelength fits between the walls, a node of the wave function at each wall and an antinode in the center. In this publication, we show how wrong this first idea can be, and what impact that has. In a carbon nanotube as quasi one-dimensional system, an electron is not in free space, but confined to the lattice of carbon atoms which forms the nanotube walls. This hexagonal lattice, the same that also forms in planar form graphene, is called bipartite, since every elementary cell of the lattice contains two carbon atoms; one can imagine the nanotube wall as being built out of two sub-lattices, with one atom per cell each, that are shifted relative to each other. Surprisingly, the hexagonal bipartite lattice does not generally support the half-wavelength solutions mentioned above, where the electronic wave function becomes zero at the edges. In each sublattice, we can only force the wave function to zero at one end of the nanotube "box"; its value at the other end remains finite. This means that the wave function shape for each of the two sublattices is more similar to that of a quarter wavelength resonator, where one end displays a node, the other an antinode. The two sublattice wave functions are mirrored in shape to each other, with node and antinode swapping position. When we now apply a magnetic field along the carbon nanotube, a magnetic flux enters the nanotube, and the boundary conditions for the electron wave function change via the Aharonov-Bohm effect. Astonishingly, its shape along the carbon nanotube can thereby be tuned between half-wavelength and quarter-wavelength behaviour. This means that the probability of the trapped electron to be near the contacts changes, and with it the tunnel current, leading to a very distinct behaviour of the electronic conductance. It turns out that our measurement and the corresponding calculations are agreeing very well. Thus, our work shows the impact of a non-trivial host crystal on the electronic behaviour, important for many novel types of material. 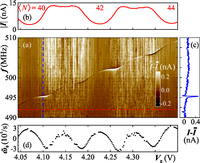 "Shaping electron wave functions in a carbon nanotube with a parallel magnetic field"
Comp. Phys. Comm. published: "Lab::Measurement - a portable and extensible framework for controlling lab equipment and conducting measurements"
We're happy to announce that our article "Lab::Measurement — a portable and extensible framework for controlling lab equipment and conducting measurements", describing our measurement software package Lab::Measurement, has been published in Computer Physics Communications. 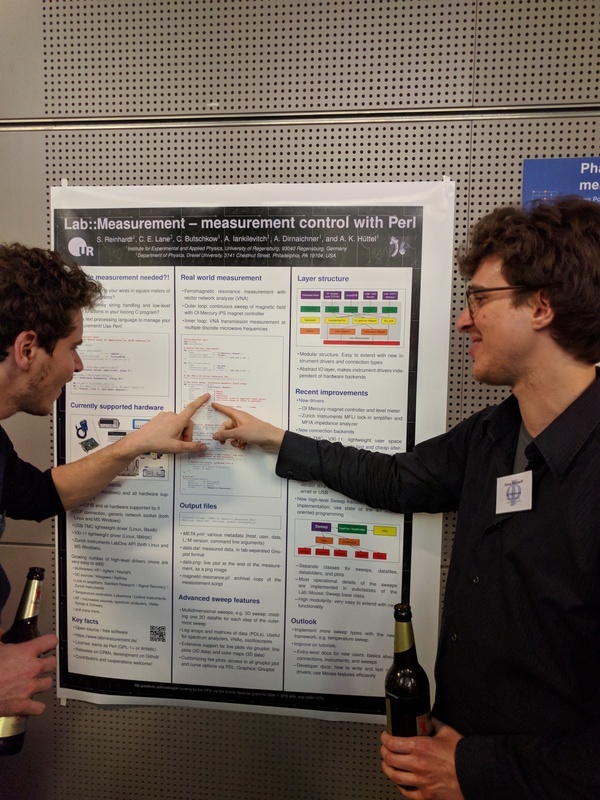 Lab::Measurement is a collection of object-oriented Perl 5 modules for controlling lab instruments, performing measurements, and recording and plotting the resultant data. Its operating system independent driver stack makes it possible to use nearly identical measurement scripts both on Linux and Windows. Foreground operation with live plotting and background operation for, e.g., process control are supported. For more details, please read our article, visit the Lab::Measurement homepage, or visit Lab::Measurement on CPAN! "Lab::Measurement - a portable and extensible framework for controlling lab equipment and conducting measurements"
Today's great news is that our manuscript "Nanomechanical characterization of the Kondo charge dynamics in a carbon nanotube" has been accepted for publication by Physical Review Letters. The Kondo effect is a many-body phenomenon at low temperature that results from a quantum state degeneracy, as, e.g., the one of spin states in absence of a magnetic field. In its simplest case, it makes a quantum dot, in our case a carbon nanotube with some trapped electrons on it, behave very different for an even and an odd number of electrons. At an even number of trapped electrons, no current can flow through the nanotube, since temperature and applied bias voltage are too low to charge it with one more elementary charge; this phenomenon is called Coulomb blockade. Strikingly, at odd electron number, when two degenerate quantum states in the nanotube are available, Coulomb blockade seems not to matter, and a large current can flow. Theory explains this by assuming that a localized electron couples to electrons in the contacts, forming a combined, delocalized singlet quantum state. What carries the Kondo-enhanced current, and how does the electric charge now accumulate in the carbon nanotube? We use the vibration of the macromolecule to measure this. As also in the case of, e.g., a guitar string, the resonance frequency of a nanotube changes when you pull on it; in the case of the carbon nanotube this is sensitive enough to resolve fractions of the force caused by a single elementary charge. From the vibration frequency, as function of the electrostatic potential, we calculate the average number of electrons on the nanotube, and can then compare the odd and even number cases. 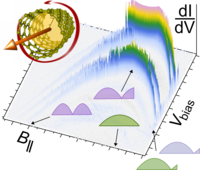 A surprising result of our evaluation is that the charge trapped on the nanotube behaves the same way in the even and odd occupation case, even though the current through it is completely different. Sequential tunneling of electrons can model the charge accumulation, and with it the mechanical behaviour. The large Kondo current is carried by virtual occupation of the nanotube alone, i.e., electrons tunneling on and immediately off again so they do not contribute to the charge on it. "Nanomechanical Characterization of the Kondo Charge Dynamics in a Carbon Nanotube"
If you're using Lab::Measurement in your lab, and this results in some nice publication, then we'd be very grateful for a citation of our work - for now the preprint, and later hopefully the accepted version. DPG 2018, the proof: Yes we've been in Berlin! The 2018 spring meeting of the DPG condensed matter physics section in Berlin is over, and we've all listened to interesting talks and seen exciting physics. 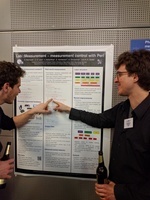 And we've also presented the Lab::Measurement poster! Here's the photo proof of Simon explaining our software... click on the image or the link for a larger version! Let's visit our university lab. We work on low-temperature nanophysics and transport spectroscopy, typically measuring current through experimental chip structures. That involves cooling and temperature control, dc voltage sources, multimeters, high-frequency sources, superconducting magnets, and a lot more fun equipment. A desktop computer controls the experiment and records and evaluates data. Some people (like me) want to use Linux, some want to use Windows. Not everyone knows Perl, not everyone has equal programming skills, not everyone knows equally much about the measurement hardware. I'm going to present our solution for this, Lab::Measurement. 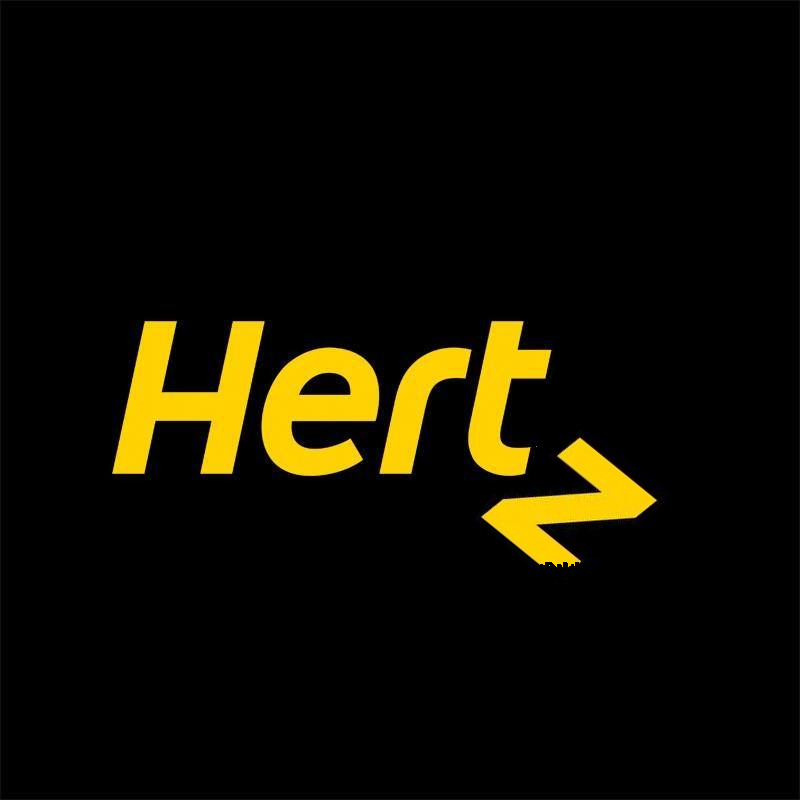 We implement a layer structure of Perl modules, all the way from the hardware access and the implementation of device-specific command sets to high level measurement control with live plotting and metadata tracking. Current work focuses on a port of the entire stack to Moose, to simplify and improve the code. Next morning, saturday, around 10:15 somebody called my mobile phone. For some reason I didn't notice, but only got a text notification of a missed call an hour later. I called back; turns out this was the Kalamata airport Hertz office. "Your replacement car has arrived; you can pick it up anytime." I arranged to come by around 16:00 in the afternoon, and from here on everything went smoothly. Now I'm driving a white BMW Mini convertible, and the roof and windows work just fine.